DID I MISS THE LIFE LESSON ON HOW TO DO WASHING? DID I MISS THE LIFE LESSON ON WASHING AND HOW TO GET STAINS OUT? 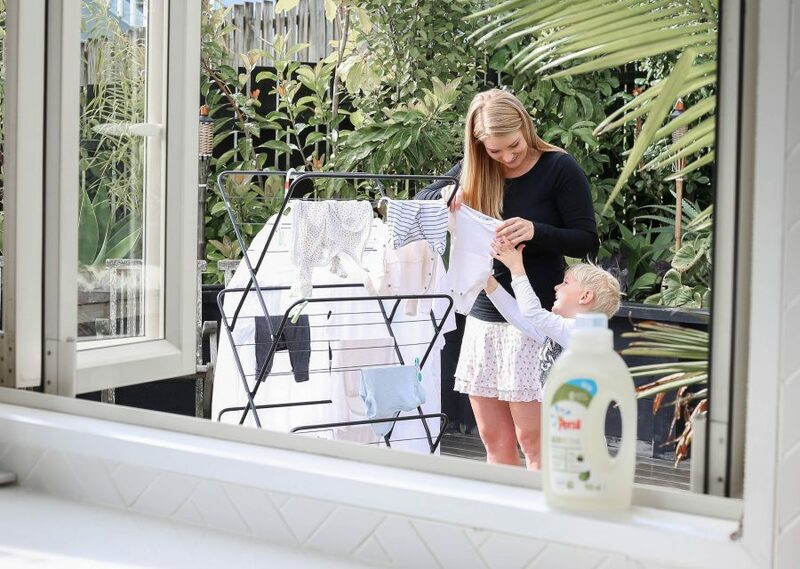 As you know I have been making my own natural washing powder for quite some time now but even when I wasn’t I have always struggled to keep my kids clothes in new condition. I see mums on-selling their babes clothes when they outgrow them and I was baffled with what I was doing wrong. Had I missed a class in how to do the laundry and get the stains out? Or did I just have really grubby messy children? 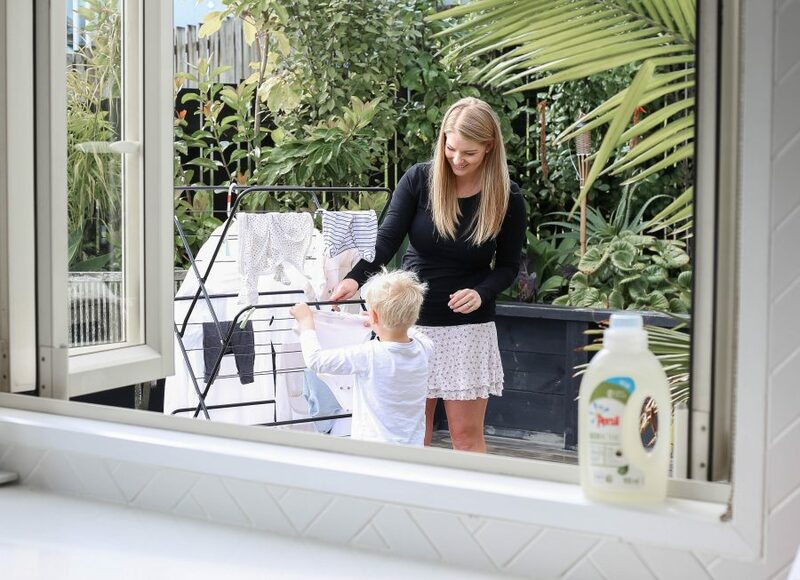 Boys are filthy little creatures…not only my little boys, but my big man-child can be a sweaty grub too, so I always have mountains of dirty washing to get through. I love using natural products wherever I can, but it has been slightly counterproductive as I use my homemade natural powder and then usually throw in some soaker or other chemical laden stain removers to try and get the stains out of the clothes and it still doesn’t remove them completely. Not a great option when I am trying my best to make small eco-conscious changes in our day to day lives to do the best I can for our planet. 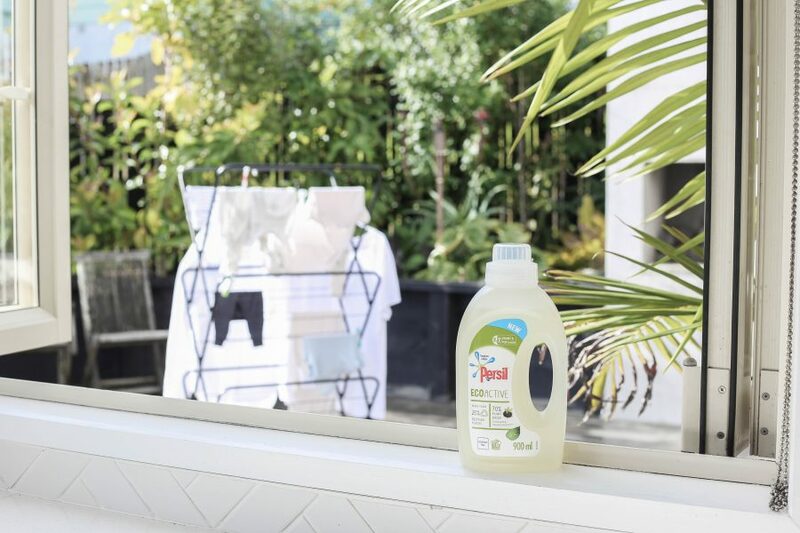 Anyway, that brings me back to why I am writing this blog – I was recently approached by Persil to try its new Persil EcoActive laundry liquid, which after reading into the product into a little more detail, I was happy to give it a go! 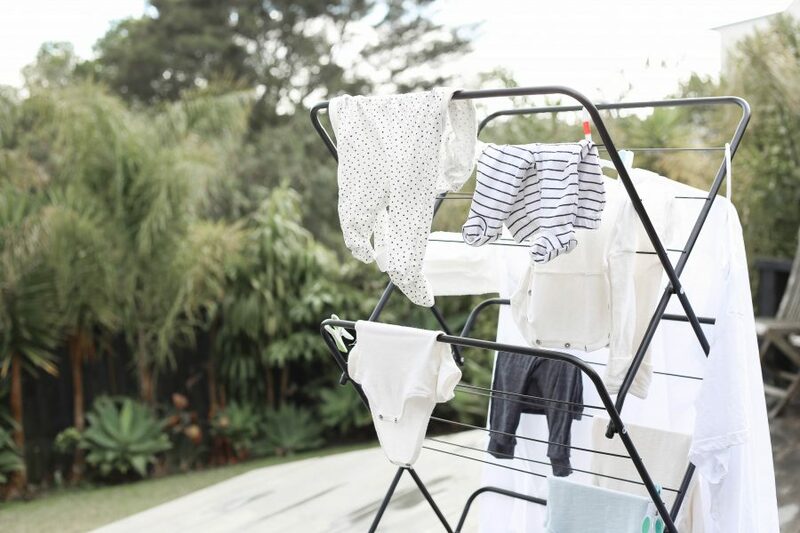 It was an option that was tougher on those pesky stains than my homemade cleaner yet was more sustainable and kind to our planet than other stain removers that I have been adding to my laundry. 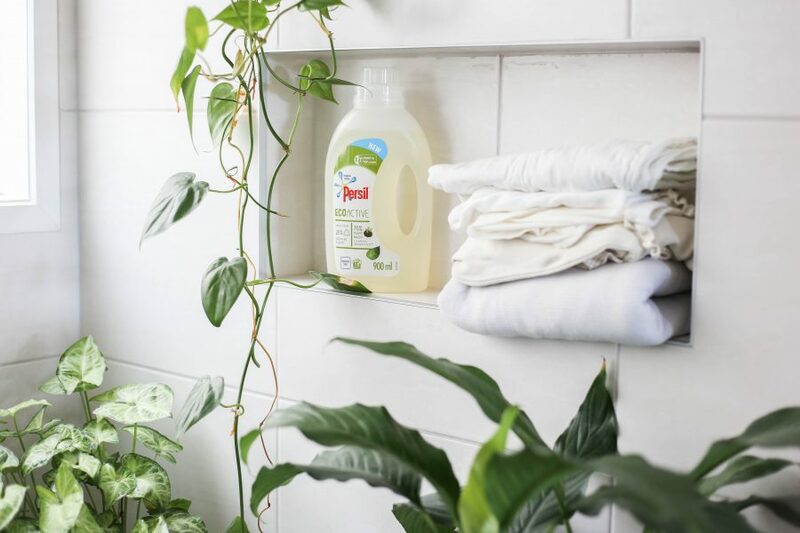 Persil EcoActive has 70% plant based cleaning ingredients, the bottle is made up of 25% recycled plastic as well as being 100% recyclable. How good is that! 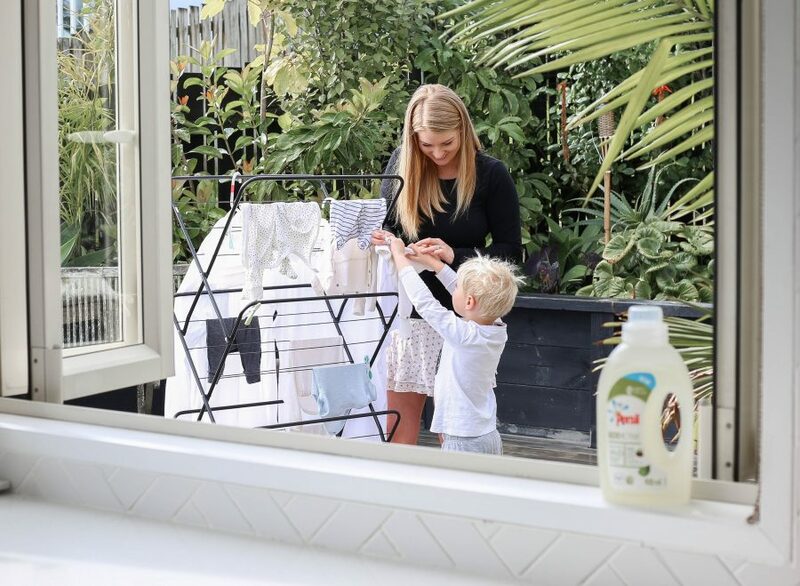 I have been using my homemade powder for standard washes, but for the clothes covered in mud, food, vomit and poo I have been using the Persil EcoActive and can say that those hard-to-remove number three stains on all of Millen’s beautiful wee baby pieces are now a thing of the past! I am happy to say that I have a pile of goodies he has already outgrown that I plan on re-selling!